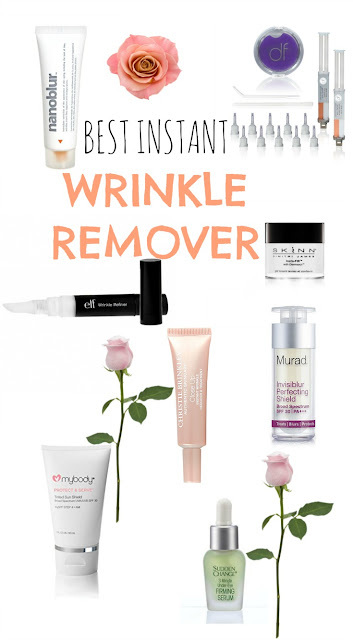 If you are a long time reader, then you know that I LOVE INSTANT WRINKLE REMOVER! I have tried now quite a lot, and thought I´d share with you the one, that I love the most! If you follow me on SnapChat, you probably know already my winner, as I have shown it countless times. I can not even go out of the house without it anymore! Holy Grail Status! Keep in mind that I only try cruelty free brands. You can always click on the pictures to see everything better! Dermaflage CAN look good, if applied right that is. However: it can be a struggle to do so! Sometimes I needed 5 applications to make it look right. This is not a serum or cream, it is a silicone filler that is available in different skin tones. 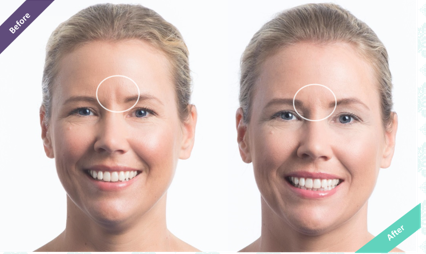 You can only use it on deep wrinkles like the "11s" between the eyes or for example scars or acne scars. 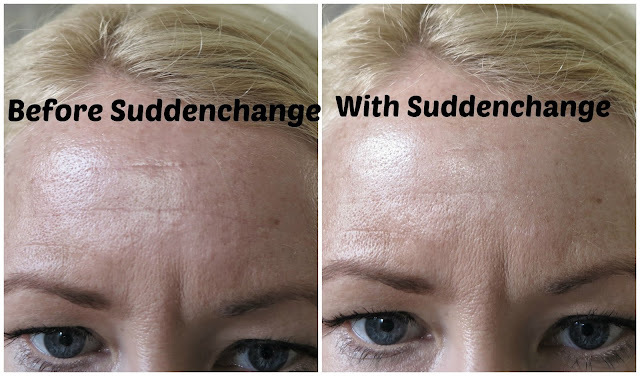 It is not working on wrinkles and fine lines. It is also pretty expensive and I am always a bit scared that people detect the product. I have to admit, that I don´t often reach for it. See my complete review here. 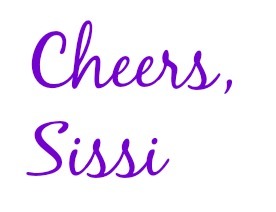 I really loved the result of the Christie Brinkley Close up under my eyes and it felt comfortable on my skin. The result lasted all day. I found that the best result is achieved if you mix this with your concealer and apply it directly under your eyes in dabbing motions. I did see only a slight change on my forehead though. See my complete review here. This is a good choice for the under eye area but a little pricey. See my complete review here. 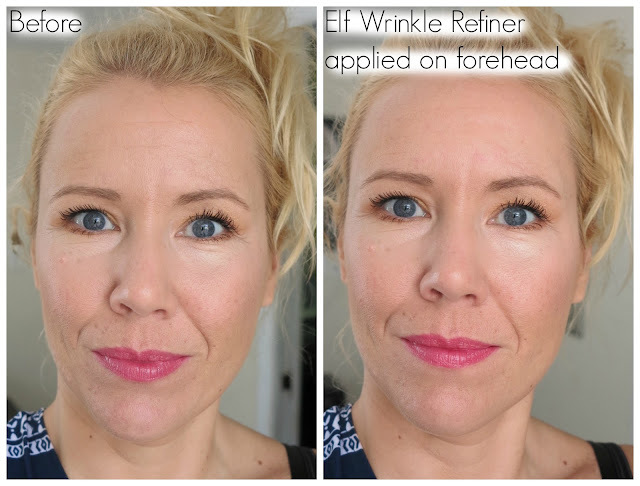 The Elf Wrinle Refiner is truly a cheapy for only $3 and it really works! The after picture speaks for itself! If you have never tried any instant wrinkle removers, this is a great way to start! 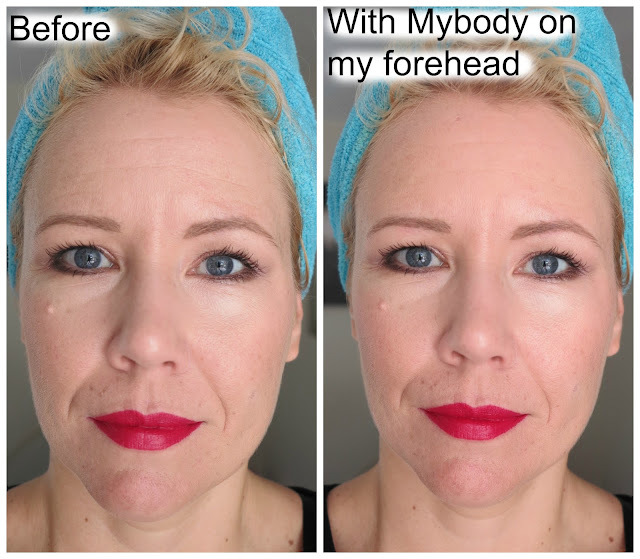 It can look a bit patchy together with foundation, so I like to use it on "good skin days", where I simply don´t apply foundation on my forehead. Around my eyes though, it feels uncomfortable and tight. See my complete review here. I even found that it works better than the Clarins Instant Smooth Line Correcting Concentrate ($38)- read it here! I reviewed the Murad Invisiblur product yesterday and used as a primer I don´t see much difference- however if applied on top of your foundation on those forehead wrinkles, it makes a huge difference! It even includes SPF and smells nice! Little downside: quite pricey! See my complete review here. 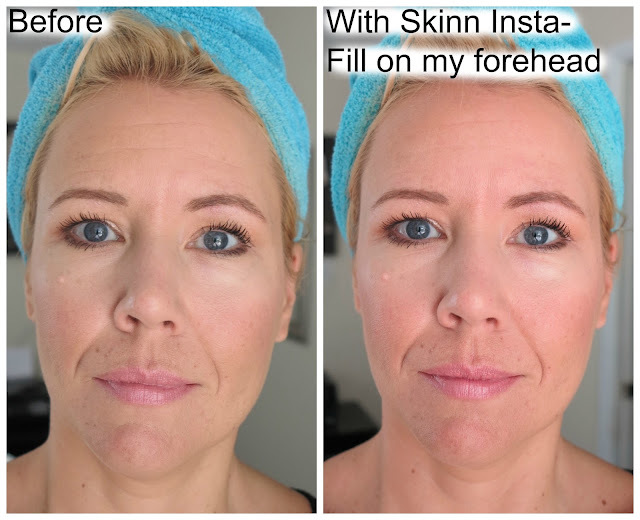 The Skinn Insta-fill is intended to use around the eyes and as an eye primer and it works fabulous and is my favorite eye primer for mature skin. You need only the tiniest amount and the best motion is to dab instead of smearing because it can ball up. But because I am smearing everything I can onto my forehead wrinkles, I tried it with this product, and what do you know? It works great! Great price and this tiny jar will last forever. A winner!!! See my complete review here. 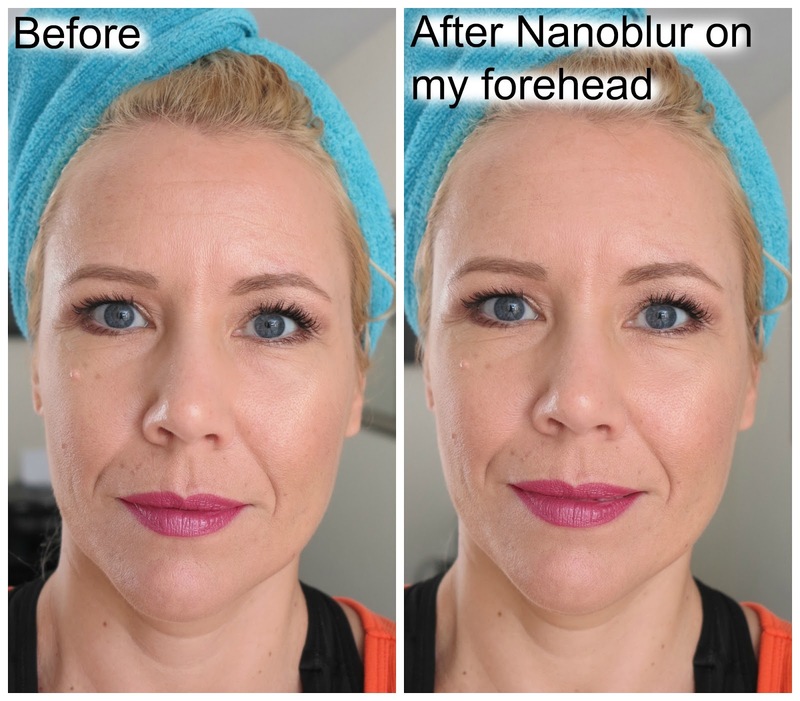 Nanoblur is an awesome drugstore product that truly smoothes out those darn wrinkles. I really love it and my only complaint is, that it can get tricky to use together with foundation and therefore look patchy. You need to practice the application and find a way that works for you. 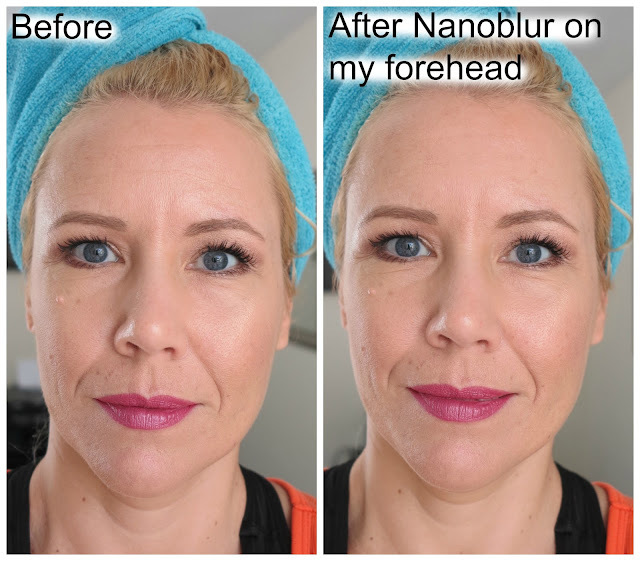 The best way is to use it on the forehead with barely there foundation or a light bb cream- or you mix the foundation before application with a drop Nanoblur. 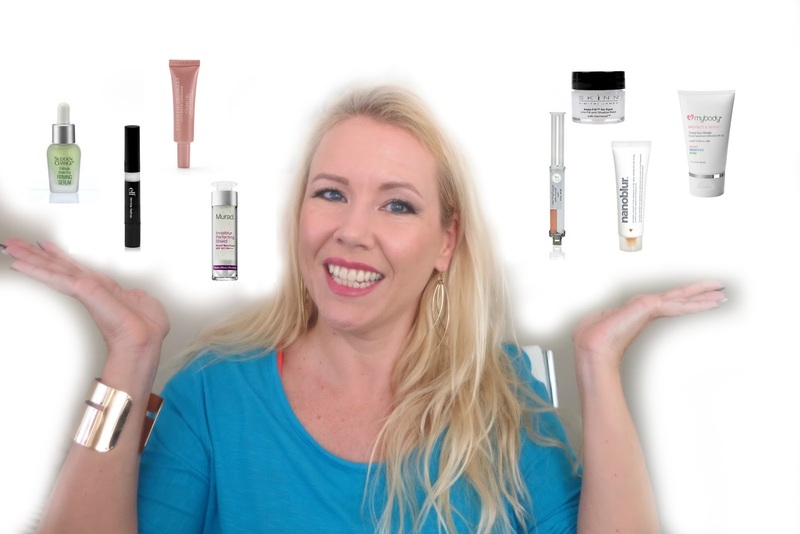 Big tube for a great price- lasts forever and is fabulous. See my complete review here. OMG! THIS!!! I LOVE IT SO MUCH! 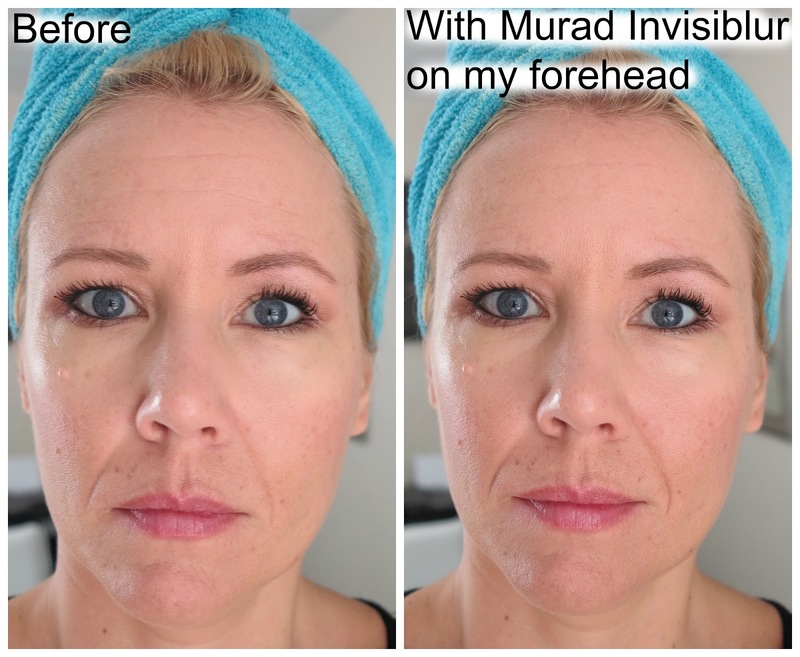 The mybody protect & serve instantly removes my forehead wrinkles! I smear the thick pasty tinted cream all over my forehead wrinkles AFTER my foundation and it does not look patchy. 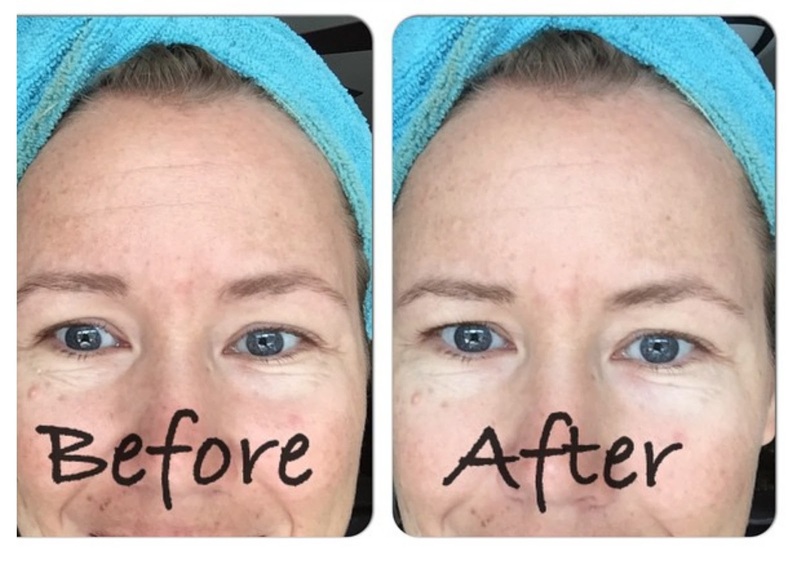 The trick is that it is tinted and works smooth together with foundation. The funny thing is, that it does not even claim to reduce wrinkles, nor that it is an instant wrinkle remover. If Mybody would know this works as an instant wrinkle remover, they could probably make a ton more money. LOL! It is meant to use as a primer but you know it: Mama smeared once again a product on her forehead wrinkles. And oh wonder! I feel instantly looking refreshed and younger. It even includes an SPF of 30. I know it is a bit pricey- but don´t let this price fool you because this will last forever! It´s 2 oz and mine is about half empty and I use it almost every single day. A pea size a day and you are good. I think this will last for about 1 year! UPDATE APRIL 2017: Unfortunately it seems that this product is no longer available! Very sad about this! MY ABSOLUTE WINNER: the Mybody Protect & Serve!!! You can see the effect it has "life" in my video- skip to 7:15 if you want to see just the demo! 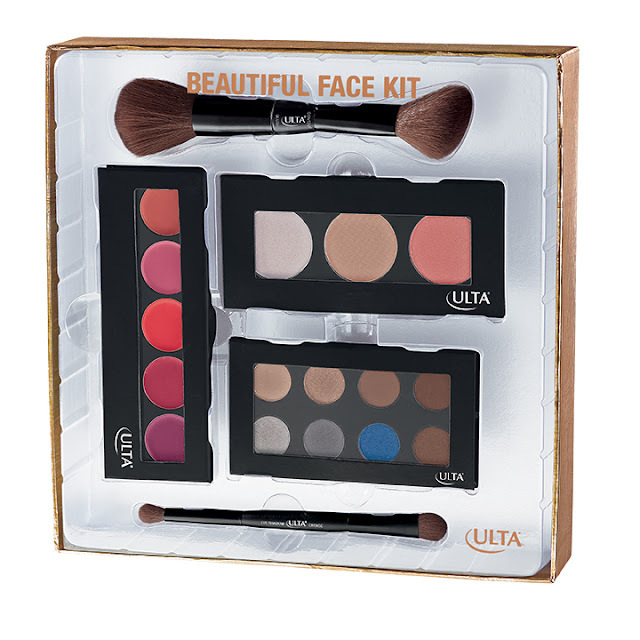 Enter to win Ulta's Beautiful Face Kit has a set of 3 limited edition palettes in must have shades for eyes, lips, and face. This assortment is inspired by the season's hottest trends. Lips packed with intense color, eyes in warm muted purples and cheeks that are luminous and glowing. I purchased this. Contains Affiliate links. Read my full disclosure.